After applying KB2412171 update , outlook started prompting for user name and password. Even if you provide the credentials it will again give the same error. Finally I had to uninstall the update KB2412171 to resolve the issue. Loss of the Archive and AutoArchive feature. They are missing the option File-> Archive… and the AutoArchive section under Tools-> Options…-> tab Other as well as the AutoArchive tab in the Properties dialog of a folder. Outlook is slow to respond when switching folders. Accounts requiring Secure Password Authentication (SPA) may have issues to connect. 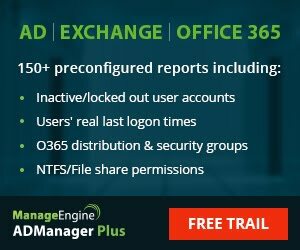 Exchange Accounts that have been configured to connect via Outlook Anywhere with NTLM authentication may be reset to Basic Authentication and now requests for the password. IMAP accounts and accounts connecting via SSL may give send/receive errors. Gmail is for instance reporting error 0x800CCC78 and cannot send the message. Another common error is 0x800CCC1A. Click Programs, then under Programs and Features, click on View installed updates. Look for installed updates and select KB2412171 update from the list. Click Add or Remove Programs, click on Show Updates check box isshow that you are able to see all installed updates.